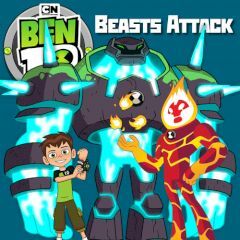 Here we are, back to back with Ben 10 again. Today he needs out help in this important mission. Nasty intruders come to this place and set their order, but we are going to change it. Select your character and start the game by killing enemies and collecting bonuses after. You need upgrade to face more powerful enemies later.